The Guerra Law Firm, PC, has a long history of helping people in the Rio Grande Valley overcome their legal challenges. Located in McAllen, Texas, we practice personal injury law, criminal defense, immigration law and more. When you need a local attorney whom you can trust to put your interests first, turn to Manuel (Manny) Guerra and our team at the Guerra Law Firm, PC. 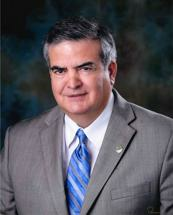 When you entrust your legal problems to Manny Guerra, he and our dedicated staff will handle your case directly. Experience: Manny Guerra has practiced law for decades, winning significant verdicts and settlements in personal injury and other areas. He has the skills it takes to fight for your rights. Trial preparation: Not all lawyers have the skills or resources necessary to go to court. Manny Guerra and our team prepare every case as if it is going to trial and this will be to your advantage inside and outside of court. Commitment: We work with our clients closely to ensure that we understand their needs and priorities. As your legal team, we will remain dedicated to accomplishing your goals and helping you overcome whatever legal challenge you face. Whether you need help getting full and fair compensation through a personal injury claim, or are facing a criminal charge or an immigration problem, contact us to learn more about how we can help. Call 956-616-4628 today. Se habla español.